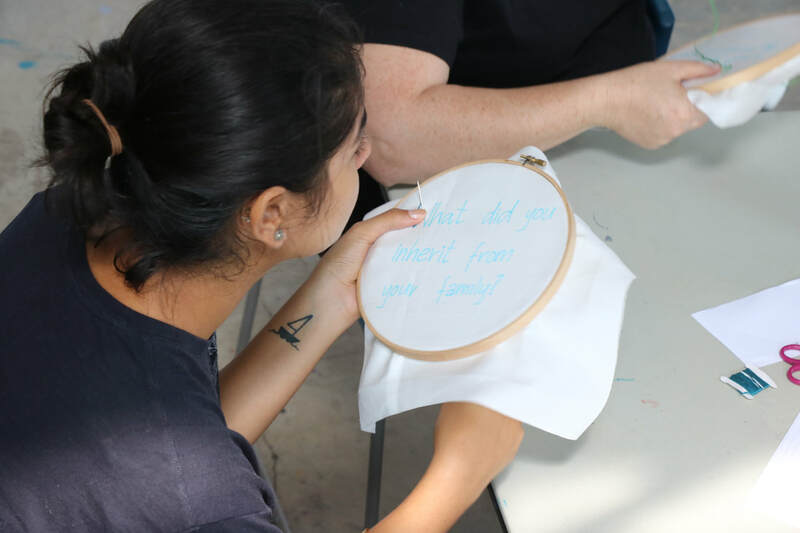 Inheritance: Quilting Across Prison Walls is a project connecting incarcerated mothers to their children and grandchildren, while creating broader conversations about mass incarceration and its impact on families. 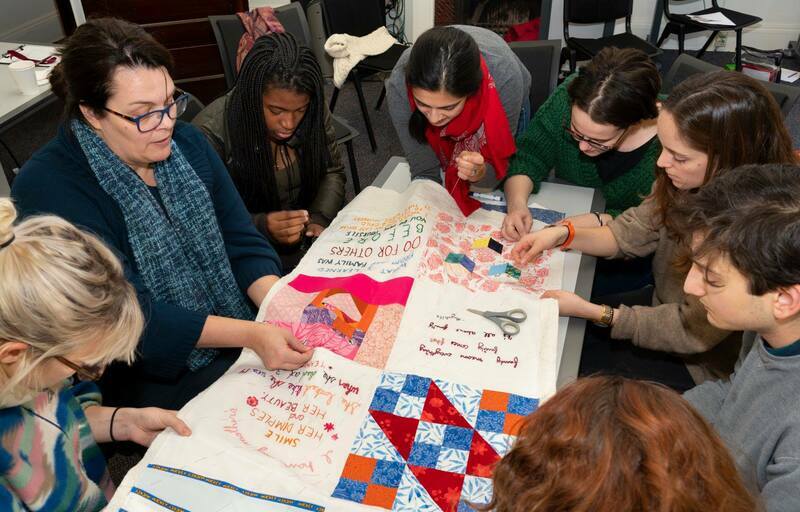 Quilts serve to mark and celebrate relationships in families. We make them to celebrate births and weddings, and to mourn deaths. They have been passed down within families, from generation to generation, for hundreds of years. For millions of families, however, the relationships between generations has been ruptured by incarceration. 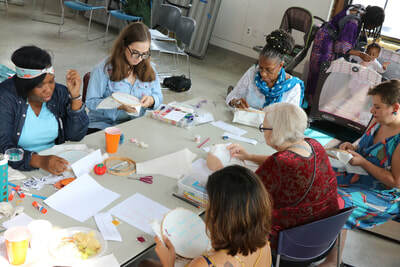 The Inheritance Quilt addresses the issue of family separation and mass incarceration in two ways: by working with incarcerated mothers to create quilts for their children, and by using community quilting circles outside of the prison walls to foster public conversations about mass incarceration. During the summer and fall of 2018, Rachel Wallis and collaborators will teach five week classes with groups of women in the Cook County Detention Center, and other prisons within the state. 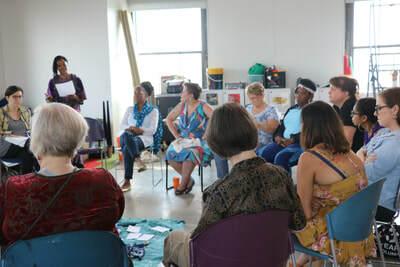 The women write and share stories about their family relationships, and the idea of inheritance – what was passed down to them and what they want to pass along to their children. 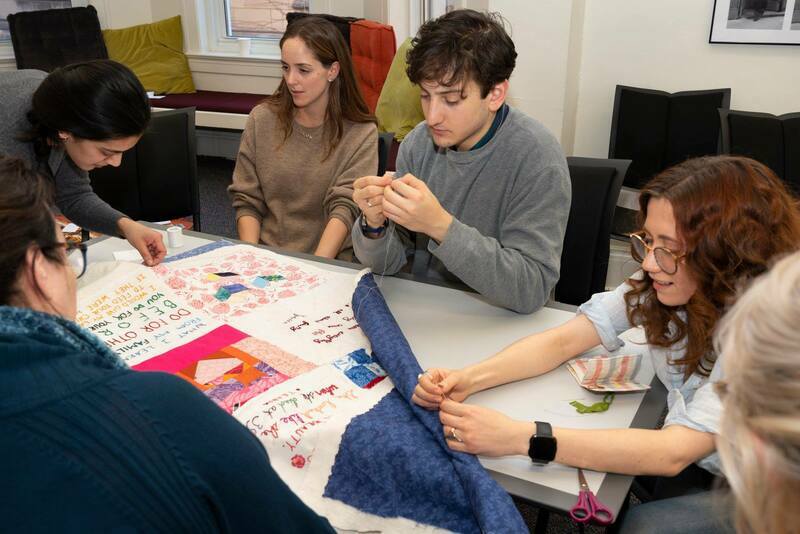 They each design an original quilt for someone in their family. 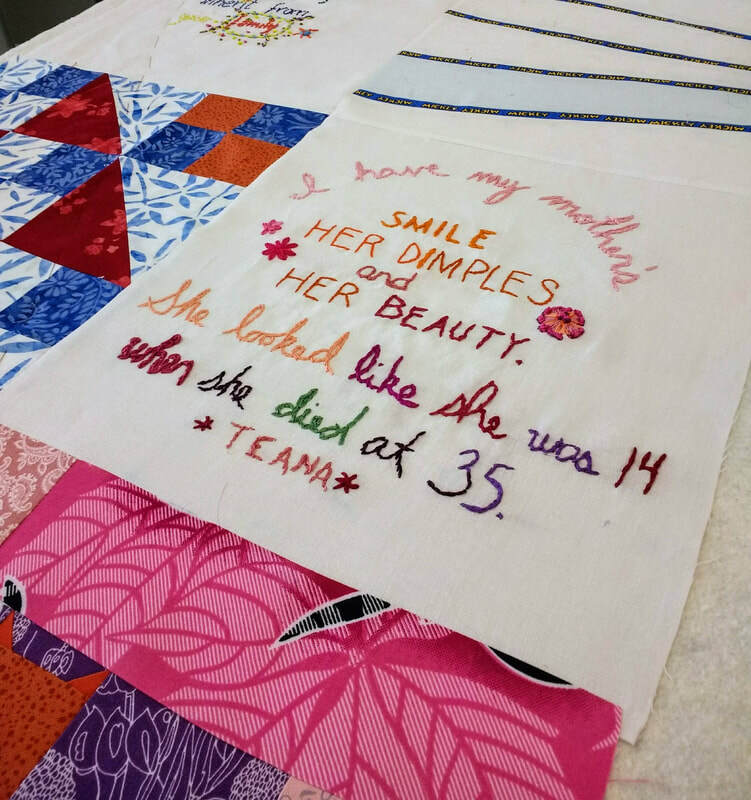 Volunteer quilters outside of the jail will sew each woman a quilt based on their designs, and mail them to the recipient of their choice. 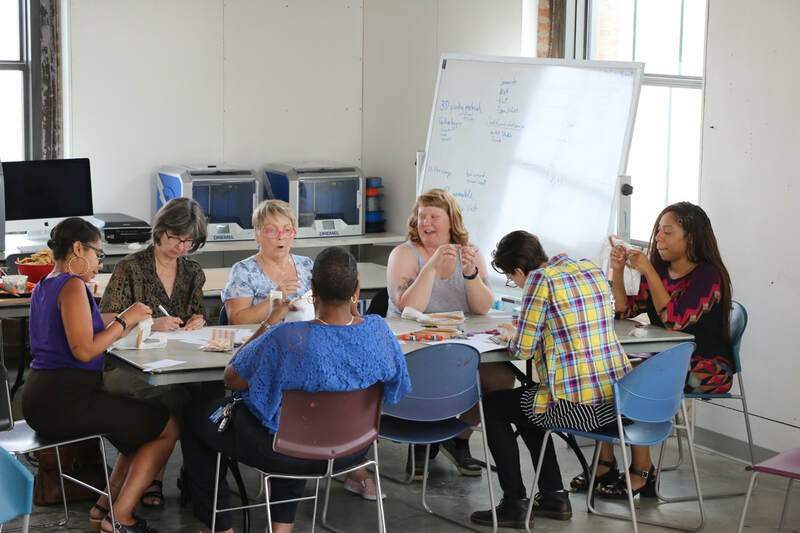 At the same time, community quilting circles will be creating one large quilt based on all of the women’s designs, and embroidering sections of their writing onto it. 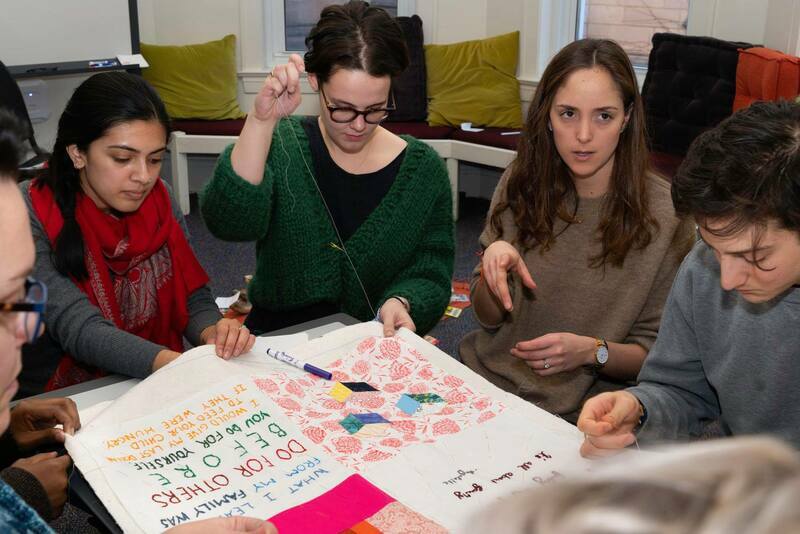 Inheritance Quilt is organized in collaboration with the Chicago Community Bond Fund and Love and Protect. Financial support was provided by the School of the Art Institute's Artist in Residence Program, and Envisioning Justice, a program of Illinois Humanities.